Whenever a Kurdistan Regional Government official or a leader of a Kurdish political party released a statement on Kurdish independence and the 2017 independence referendum, I became even more convinced of the need to defend Kirkuk and to prevent the outbreak of any conflict between the Iraqi Federal Government and the Kurdistan Region because since 2003 I have been one of the few people that have been aware of the events in Kirkuk from close up. In recent years as the rhetoric on a Kurdish independence referendum and Kurdish independence ramped up I found myself on one side in this political game. 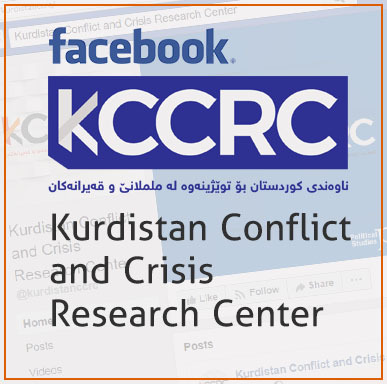 In this account, I will reveal my inside view of the events that led up to the 2017 Kurdistan independence referendum, because since the 18th October 2017 there has been an unprecedented and persistent smear campaign against us. I will not be responding to specific accusations or political propaganda that has come from other political parties Instead I will try to inform the Kurdish community across the globe on how and why the 2017 referendum was conducted. Moreover, I will reveal who was ‘for’ and who was ‘against’ the holding of the poll and the reasons behind the positions taken by these individuals. A significant political event, such as an independence referendum that is designed to establish an independent Kurdistan and that includes in its scope territory that is disputed between the Kurdistan Regional Government and the Iraqi Federal Government, warrants a detailed discussion. For this, I would firstly like to apologise that I could not discuss all the issues in detail during the period of the 2017 Kurdistan independence referendum. I didn't provide details on the problems surrounding the poll as I felt that, behind the scenes, I could better utilise my influence to protect Kirkuk and its residents. However, numerous reasons did not allow me to succeed in this regard. Following the Islamic State's assault on Mosul in 2014, the Iraqi army withdrew from Kirkuk and the disputed territories. The subsequent security void in these areas awarded the Kurdistan Regional Government the opportunity to control the Kirkuk oil fields. It wasn't long after the Kurdistan Regional Government was able to control Kirkuk that it began exporting Kirkuk’s oil and that of the Kurdistan Region directly to international buyers in international market via the Ciyan port in Turkey. Controlling the Kirkuk oil fields encouraged the Kurdish political leadership, especially the Kurdistan Democratic Party and its leader Massoud Barzani, to strengthen their calls for a Kurdish independence referendum so that the fate of Iraqi Kurdistan could be decided once and for all. During this period, Massoud Barzani was President of the Kurdistan Region, his nephew and son in law, Nechirvan Barzani, was Prime Minister of the Kurdistan Regional Government and his son, Masrour Barzani, was the Chancellor of the Kurdistan Region’s Security Council. These prime positions had awarded the Kurdistan Democratic Party control of the Kurdistan Region of Iraq's economy, international relations, international policy, and the Kurdish Peshmerga forces giving the Kurdistan Democratic Party a unique opportunity to take control of the campaign for a Kurdish independence referendum and take it out of the hands of the Kurdish people. In July 2017, these factors allowed Massoud Barzani, as President of the Kurdistan Region of Iraq, the Patriotic Union of Kurdistan, Islamic Union of Kurdistan and some other Kurdish political forces to set a date for the Kurdish independence Referendum. They set the 25th September 2017 as the date of the poll in the Kurdistan Region and Kirkuk. This decision became the source of an event that would become an enormous political issue transcending the Kurdistan Region and Iraq to reach the capitals of regional and international states. From the onset, the desires, aims and reasoning of each political player differed regarding supporting the referendum or not. Hence, I had to make a quick decision on the independence referendum, a poll that looked set to have a sizable impact on the fate my people as well as the province of Kirkuk going forward. I did not want to make a decision that could turn out to be a significant political mistake and that I would later come to regret. Given that I am a member of the Patriotic Union of Kurdistan, a Kurdish political party that campaigns with the slogan 'Right to Self-Determination' as one of its founding principles the decision I had to make was incredibly difficult. I would have reached my decision easier if I had made my choice under the influence of Kurdish nationalism or my belief in my party’s founding principle of the right to self-determination. It would have been easier still if we had proposed to restrict the referendum to the Kurdistan Region of Iraq alone. In that instance, I most likely would have backed the move, not least to use it against Baghdad to receive more concessions. However, when Kirkuk became the focus of the referendum, I began lobbying other Kurdish decision-makers against the decision that looked set to thrust Kirkuk on to a long and dark path in which failure was more probable than success. Following this meeting, the meeting of the Council of the Patriotic Union of Kurdistan's Kirkuk Office was held, in which all of the Patriotic Union of Kurdistan's agencies in Kirkuk took part. In the meeting, all attendees voted unanimously against the holding of the referendum in Kirkuk. The assembly subsequently prepared a dispatch to the Higher Referendum Council and the Patriotic Union of Kurdistan Politburo. We then began meetings with the different peoples of Kirkuk also to get a better grasp of their views. Once these fact-finding meetings were complete, we started our lobbying against the Kurdish referendum in its proposed form for we had concluded that it would result in substantial damage to the interests of the Kurdistan Region of Iraq. A few days before the referendum I took part in a meeting, which also included Massoud Barzani, Kosrat Rasoul Ali, Hama Haji Mahmoud, Salah Dalo, Kemal Kirkuki, the KDP's Kirkuk Branch, and a number of PUK members from PUK's offices. In the meeting, we clearly explained the risks of the referendum, the unsatisfactory state of the Peshmerga, the power imbalance between the Peshmerga and the Iraqi Army, the threats that neighbouring countries posed, and that we believed it to be a strategic mistake to ignore the recommendations of the United States and the European Union. After this meeting, I met with Kirkuk’s Governor Najmadin Karim, who had by then developed a strong bond with Massoud Barzani. In the meeting, I said: "Dr Najmadin, for me, for the PUK, Massoud Barzani will listen to you, I implore you, please, try your best not to hold the referendum in Kirkuk; otherwise we will lose control of it." In response, Najmadin Karim assured me that the referendum would not take place in Kirkuk. He explained: "we will not announce this [that we will not hold the referendum in Kirkuk] until two days before the referendum so that we can pressure the United States and the European Union to improve their offer to us [Kurds] and give us a better deal." In mid-September 2017, the Higher Referendum Council met in Erbil. My colleagues Kosrat Rasoul, Mullah Bakhtiar, and Sa'di Pira assured me that in the meeting they had agreed that the referendum would not take place in Kirkuk. "Kirkuk has been excluded from the referendum", they said. The following day, another meeting was held at Sari Rash between Massoud Barzani, Kosrat Rasoul, Nechirvan Barzani, Qubad Talabani, Pavel Talabani, Salahadin Bahadin and myself. In the meeting, Nechirvan Barzani said to me: "Aso there is no need for you to speak, the referendum will not be held in Kirkuk and the disputed territories". Hence, I felt I had nothing to say in the meeting, and therefore, remained silent as I had received my assurances from the top that the referendum would not take place in Kirkuk and the disputed territories. In the meeting, we also discussed the letter from Rex Tillerson. In that regard, they revealed that the Kurdistan Regional Government planned "to delay the revelation that the referendum would not be held in Kirkuk and the disputed territories so that it could win more concessions and guarantees." When Massoud Barzani visited Sulaimani to campaign for the 'yes' vote just before the referendum, another meeting was held. In the evening a friend and colleague from the PUK Politburo called me and said: "Aso be careful, they want to hold the referendum in Kirkuk and the disputed territories!" Receiving this news forced me to resume my efforts to prevent the catastrophe that I believed awaited the Kurdistan Region if the referendum was carried out in Kirkuk and the disputed territories. This time we intensified our efforts by preparing a dispatch to be sent to the PUK members of the Kirkuk Provincial Council as well as the head of the Kirkuk branch of the Independent Election Commission. We also attached our original dispatch to the new one and sent it to the Higher Referendum Committee. I am sure that you all remember that a demonstration was organised on the Kirkuk Citadel. It was Kosrat Rasoul that had asked us to arrange the demonstration. Before we agreed to it, I told him that we would only organise it on the condition that the referendum does not include Kirkuk and the disputed territories. He promised that it would not be carried out in those territories and so based on this pledge we agreed to organise and hold the demonstration. On the 23rd September 2017, we selected our colleague Rasand to meet with the Kurdish political parties to force the cancellation of the referendum in Kirkuk and the disputed territories. After we learned that the promises that were made to us regarding the referendum in Kirkuk and the disputed territories would not be upheld, we organised a meeting of the PUK leadership in Kirkuk on the evening of 23rd September 2017, in which all leading members of the PUK in Kirkuk were present except Najmadin Karim. Once we became sure that the referendum would also be held in Kirkuk and the disputed territories, we prepared a statement that stated our position on the issue explaining that we were against the holding of a referendum in those areas. Other than Najmadin Karim, the PUK’s Kirkuk leadership, Members of Parliament, other high-ranking members of the PUK and the agencies of the PUK in Kirkuk all supported the statement. During that night I received a call from Kosrat Rasoul in which he accused me of wanting "to reignite a civil war". I responded by saying: "we have no intention of starting a civil war. We are simply against the holding of the referendum in Kirkuk and the disputed territories." That same night, I also received a call from Nechirvan Barzani in which he urged me not to release the statement. He said to postpone it as "tomorrow [24th September 2017] […they were…] hold[ing] a meeting at Sari Rash". Given this opportunity to convince the proponents of the referendum to remove Kirkuk and the disputed territories from the list of places it would be held, we agreed to postpone the release of the statement. On the 24th September 2017, as promised by Nechirvan Barzani another meeting was held at Sari Rash in which I, as the head of the PUK's Kirkuk office, took part. Also present at the meeting was the Head of the KDP's Kirkuk Branch, Rebwar Talabani - the Chairman of the Kirkuk Provincial Council, and Mamosta Kakarash - the Head of the Higher Referendum and Election Commission of the Kurdistan Region. At the meeting, we once again reiterated that the referendum must not take place in Kirkuk and the disputed territories. I reminded them that they "had all promised me that the referendum would not include these areas”. Nechirvan Barzani acknowledged my reminder and said: "yes we had promised that the poll would not include Kirkuk and the disputed territories." After the meeting, I told them that I had to leave and would be returning to Kirkuk. Masoud Barzani had by then understood that we were against the holding of any Kurdish independence referendum in the current state that included Kirkuk and the disputed territories. Hence, Massoud Barzani asked Kosrat Rasoul to “go to Kirkuk [..to..] supervise the referendum". We returned to Kirkuk together. As evident in my account the political pressure exerted on us was far more significant than that which we could exert on the proponents of the referendum. As a result, we had no choice but to take a neutral stance between resisting the referendum in Kirkuk and accepting the holding of the poll and the subsequent possibility of military conflict with the Iraqi Federal Government. We as political figures, as Peshmerga, and as a political party have, since the beginning of the new Kurdish revolution, have had the most sacrifices in Kirkuk. We also have the most significant impact in Kirkuk, and the residents of Kirkuk have the most love and affection for us. The PUK has also had the closest affinity with Kirkuk's Turkmen, Arab, Kakai, and Christian communities. Therefore, regarding the holding of the 2017 Kurdish independence referendum in Kirkuk, we were well aware of the distress it caused to the governments of Iraq, Turkey, Iran, the United States, the United Kingdom and the European Union. We also had documented all the details concerning the possible successes and failures that such a referendum would bring. Regardless of our efforts, they, the architects of the poll continued to force their will and shortsightedness on the issue. They ignored our concern, deep understanding of the issue and our long-term perspective. It is not possible to make a judgment on the days the followed the referendum without first understanding on the days that lead up to it. Only once this is done can the truth be reached that the fall of Kirkuk was the result of the referendum and the shortsightedness of its architects. The views and opinions expressed in this article are those of the authors and do notnecessarily reflect the KCCRC.